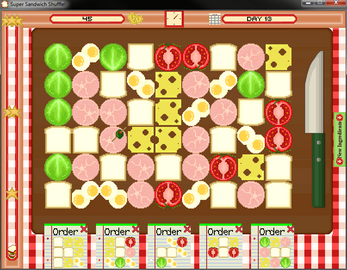 You play as a sandwich restaurant owner. 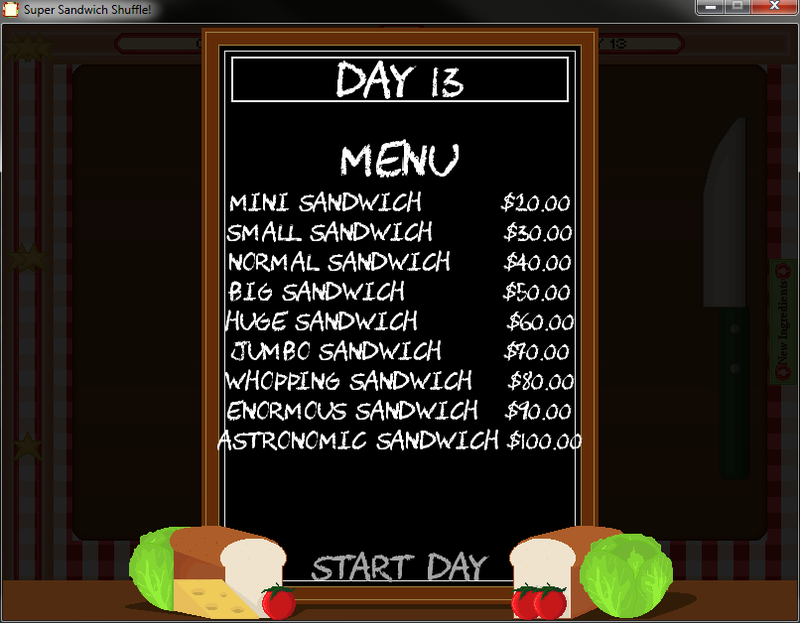 each day you have to complete orders, which increase in difficulty every day. To complete orders you have to look at the shape it has and then you have to make that shape in the puzzle field by shuffle the ingredients. each ingredient moves in a different way! This game is getting really difficult really quickly, and very addictive. Click on the ingredients to swap them. Swap ingredients to match the orders. 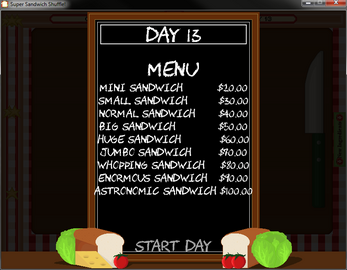 Drag and drop the order in the game field to complete it. Powder, Can not be moved, but may be used as any other piece. So if you're missing a piece of bread, you can use this powder instead. This game is free, but I would really appreciate it if you could throw me a few cents!